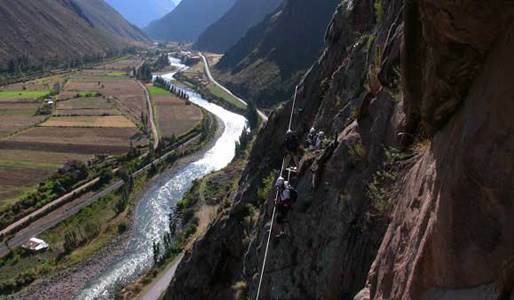 Cusco is one of the most beautiful places in Peru, where the traveler may participate in built up architectural centers and of the culture that envelops this beautiful city; but you may also enjoy the landscapes in all of their splendor through adventure sports; one of them is scaling. Natura Vive has brought the via ferrata of the Valle Sagrado de los Incas (Sacred Valley of the Incas) of Cusco, which is the first and only one in Peru, through the fact that any person, without the need of previous experience, may scale the rock wall of approximately 300 meters in height, located in Pachar, between Urubamba and Ollantaytambo. 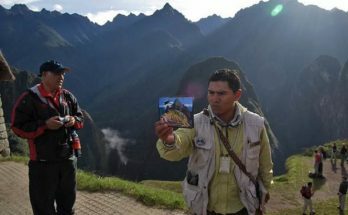 Furthermore, you may lunch when reaching the summit while witnessing the awe inspiring Cusco nature and feel the emotions on your descent. Maybe you are asking yourself what is the vía ferrata, well this is a type of route with a permanent security system that serves to be able to scale a mountain. This permanent system allows people from 7 years old and in good health to be able to handle the height of the steps and to scale this lovely Cusco mountain. Remember that this scale should be done accompanied by a guide. The equipment used for the via ferrata consists of gloves, standard scaling harness and a double system with strong dissipator, designed solely for this type of scaling. This equipment allows the traveler to stay tied to a life line or steel cable through which he/she may scale the mountain. This experience begins with the handing out of the equipment by Natura Vive and he safety talk prior to scaling, which takes approximately 30 minutes. Afterwards, the ascent and descent of the mountain may last between 3 and 4 hours., depending on the group’s rhythm. Using a light rope and shoes that adjust to the exigencies of scaling are recommended, such as walking boots, tennis shoes, etc. ; also, you should take a backpack with bottled water (approximately 1 liter) and extra clothes, since the higher you go up the winds become harsher and it also gets colder. 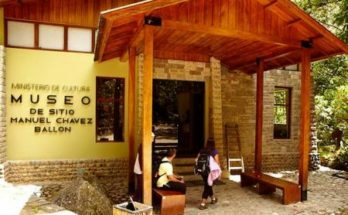 Remember that the scalings are performed daily and they leave with a minimum of 2 people and a maximum of 30; furthermore, the reservations should be made in anticipation because the departures depend on the climate and the capacity is restricted to the number of travelers that are going to access the via. 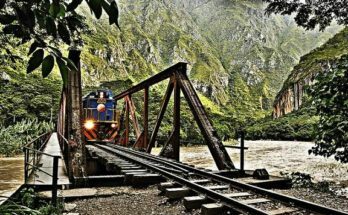 Departure from Cusco – 7:30 a.m. and/or 12:30 p.m.
Departure from Valle Sagrado – 8:00 a.m. and 13:00 p.m.
*The schedule for private groups depends on their availability.